The stand will also present a 3D printed scale model of a large architecturally inspired table. Alongside this will be a showcase of projects completed in the yachting industry and luxury lifestyle sector, including the presentation of a set of handmade pipes for Bentley Pipes & Tobacco. With studios in Belgium (C-mine, Genk) and the Netherlands (Helmond), KesselsGranger DesignWorks is an internationally oriented design studio founded by the designers Steven Kessels and James Granger. The portfolio covers the following services: design strategy, the makeover or redesign of existing products and the design and styling of new products. Alongside this the studio also delivers graphic design and design visualisations. KesselsGranger DesignWorks has built up comprehensive experience in the maritime sector, as well as numerous other lifestyle products. 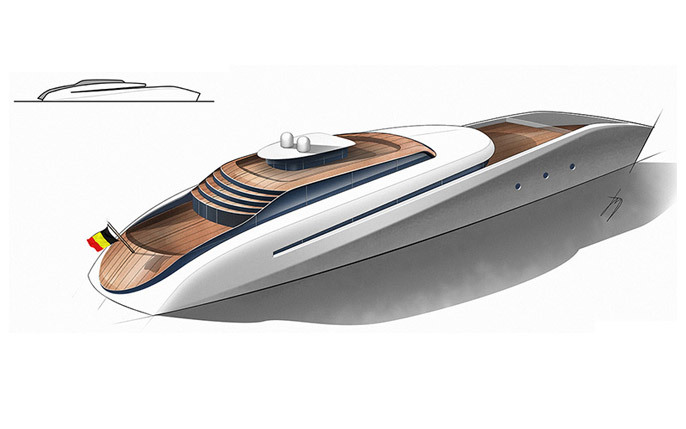 Projects in the yachting industry have covered the design of deck hardware and carbon fibre booms for high-end sailing yacht projects constructed by leading yards, to concept designs of new vessels and equipment for yacht marinas. KesselsGranger DesignWorks also has an extensive portfolio of refits and graphic applications in the maritime industry. The BE.YACHTING stand on which KesselsGranger DesignWorks is exhibiting will host an aperitif every day during the show from 17h.